Are you tired of throwing away candles that still have wax in them but the wick has burned down ? 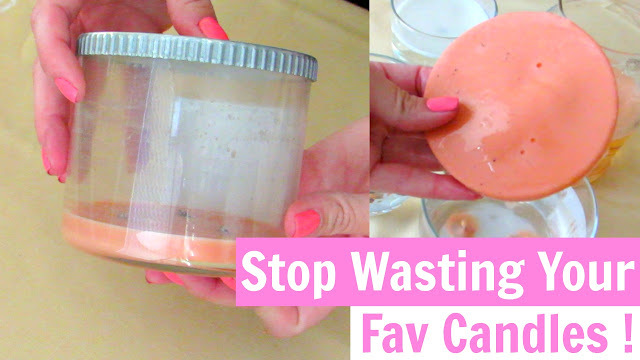 Today I am showing you how to stop wasting your expensive candles. PLUS as an added bonus I am sharing how I am reusing the glass jars. 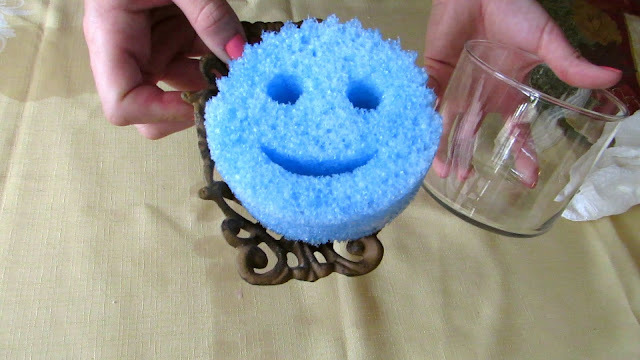 There are several methods of wax removal out there. This is the version I have found to be the easiest, quickest and safest. There are also a million of ideas to redesigning the jars once they are depotted. This is an area I have yet to venture into. If you do this project and post about it I would LOVE to see it ! Be sure to tag me. 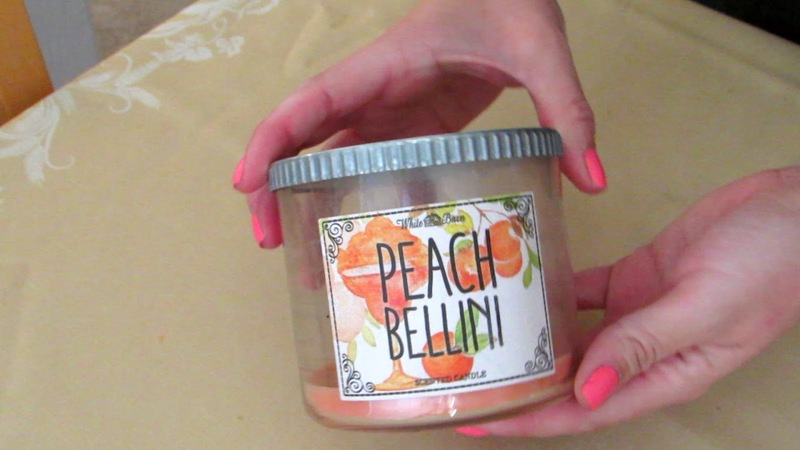 Start off with any candle that has burned its little heart out and can't burn anymore. 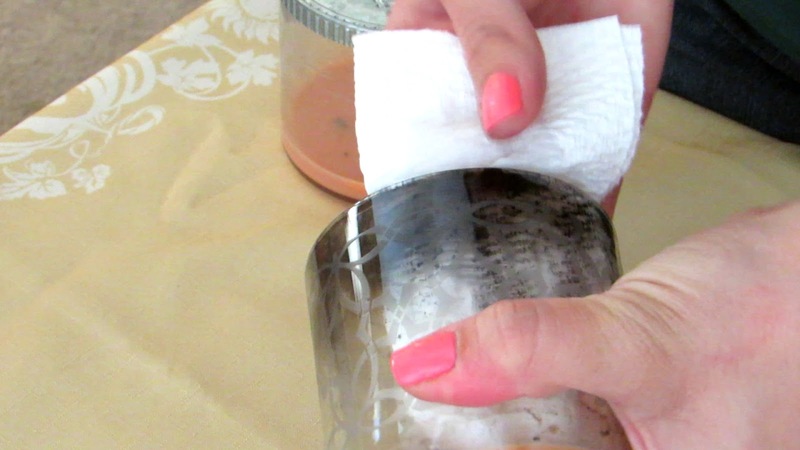 Step One : Wipe out the glass using paper towels and rubbing alcohol. While doing this place a few pans of water on the stove to boil. Step Two : On a protected surface. Carefully pour the boiling water into the candle and let the melting magic begin. Step Three : Be patient and wait for the floating wax to totally cool and set. 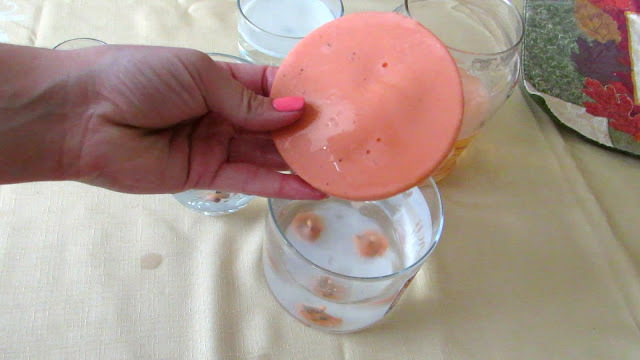 Then simply put pressure on one of the sides and pop out the wax disk. 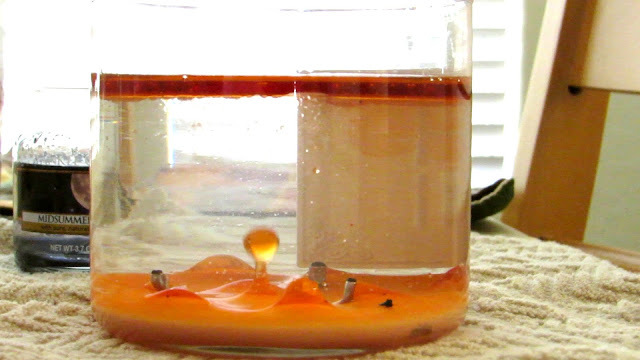 Store your new DIY flameless candle melts in a plastic bag. 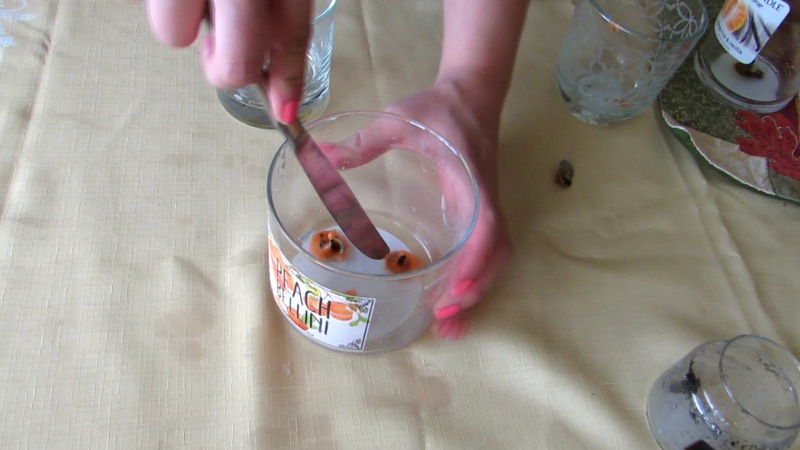 Step Four : Use a butter knife to gently pop out the wick base and scrap the remainder of the glue out. Step Five : Clean the glass jar with a ​Scratch Free Scrub Daddy Sponge and dish soap. 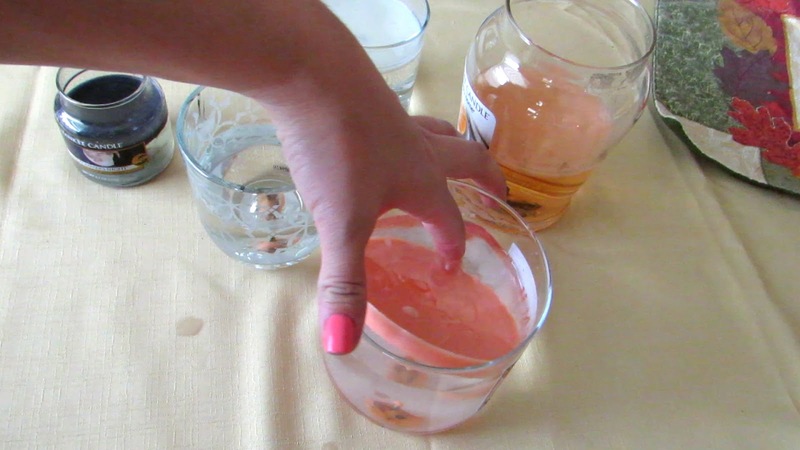 Removing labels under running water aids in the process. 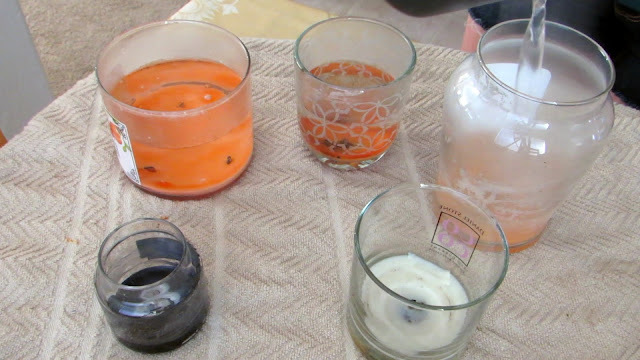 Step Six : Fill your clean glass jars with whatever you wish. I chose to use mine as toiletry storage. 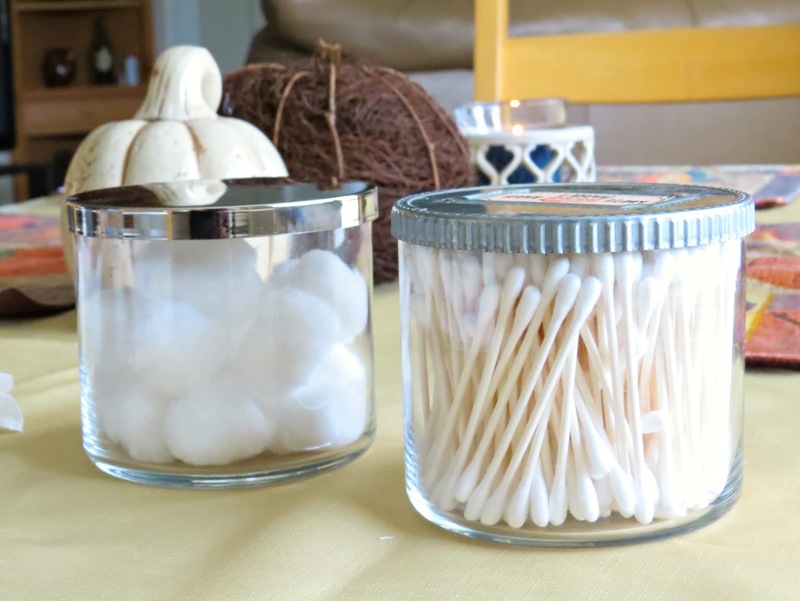 Here I am using my old Bath and Body Works candles to store cotton swab and cotton rounds. Let me know how you are using your depotted containers in the comments below. Good luck and feel free to ask questions !